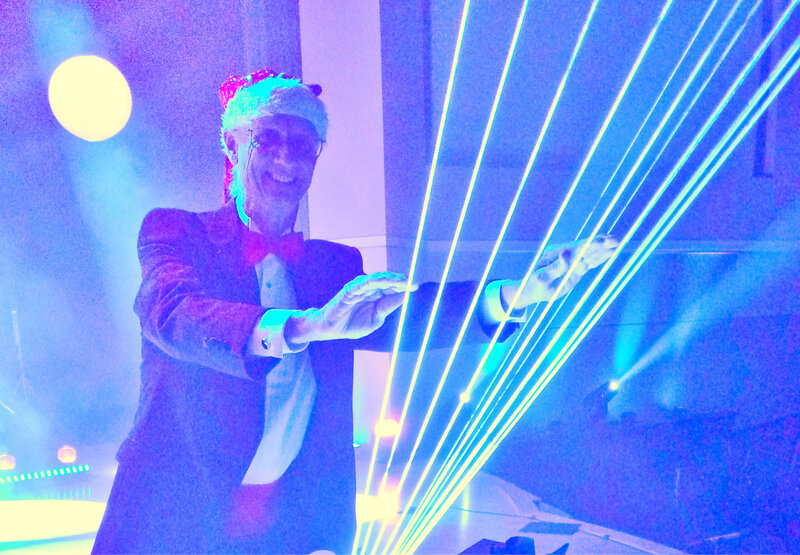 The Laser Harp | Laser Spectacles, Inc. 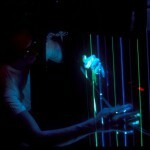 The Laser Harp is a musical instrument developed by Dan Millikin and Tim Walsh. It is a simple concept: the “harp strings” are beams of laser light directed at sensors, which detect whether or not the beam is on or off. When the performer plucks a string (breaking the beam of light to the sensor), a MIDI note is sent to a musical synthesizer and the corresponding note is played. 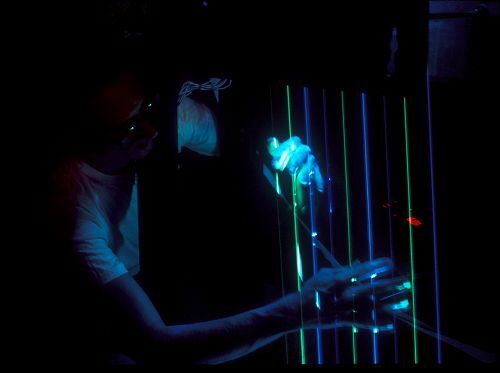 The laser harp is designed so that the strings can be multicolor, or color modulated. The sensors are designed to be separate from the laser source so that the strings can be made longer. It would be possible to make a giant overhead laser harp that filled a room with beams, and the audience could play it from underneath. 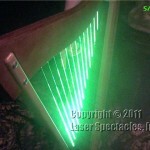 This original Laser Spectacles laser harp is designed for its own use in its own productions. 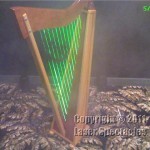 Laser Spectacles has now developed a unique harp shaped instrument that is available to the public. 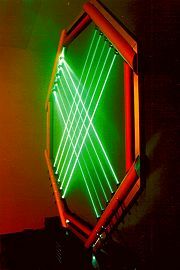 This laser harp was developed for the Butterfly Palace in Branson, Missouri. It is to be displayed, and played by the public, in a large terrarium filled with plants and butterflies. It will be on display during the special night time events, “NIGHT in the Butterfly Palace”, illuminated primarily with blacklights! 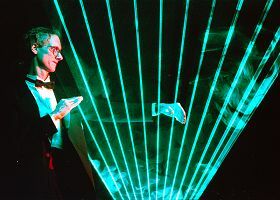 The laser harp was created with lasers that are under 4.95 milliwatts, needing no variance or special permission to display. It has a very fast response, very clean beam lines, and a standard MIDI output that can control most any sound module, making any sound available to the performer. 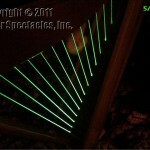 We have had some interesting requests for more laser harp instruments at a variety of sizes and complexities. This particular laser harp for all its complexity, is a more simple type construction, and will sell for around $7,000 USD. Contact us for more information or to discuss your laser harp interests. 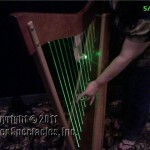 Since we have had the laser harp on our web site, we have found other laser-harp related items on the web. This beautiful laser harp to the left was invented by Geoff Rose of Laser Special Events in Australia. And be sure to check out Jean Michel Jarre’s site! He is famous for playing a laser harp. You can try to find it in the “videos” section at www.jeanmicheljarre.com.